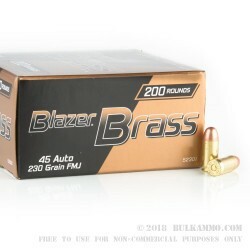 With this 1000-round bulk case of .45 ACP ammo by Blazer Brass, you get a large quantity of high-performing practice ammunition for an unbeatable price. 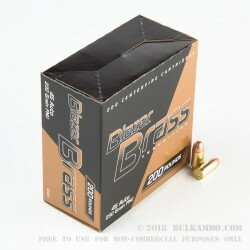 CCI's Blazer Brass ammo is consistent and perfect for range training, target practice, and tactical exercises. 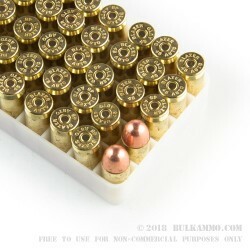 This .45 ACP ammo is loaded into Boxer-primed brass casings filled with clean-burning propellants, CCI small pistol primers, and 230gr full metal jacket (FMJ) projectiles. The muzzle velocity of the 230gr FMJ projectile sits right at 830 fps with 352 ft/lbs of energy. This projectile style is perfect for short-distance target shooting. The casings are able to be reloaded with small pistol primers but may generate a reduced amount of pressure compared to standard size primers. CCI Blazer is owned by Vista Outdoor Inc. along with fellow ammo legends, Speer and Federal Premium. 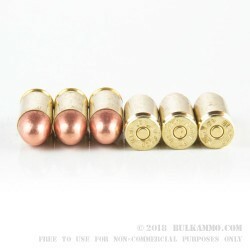 Don't pass on this opportunity to stock up on quality .45 ACP practice ammo. Order today!